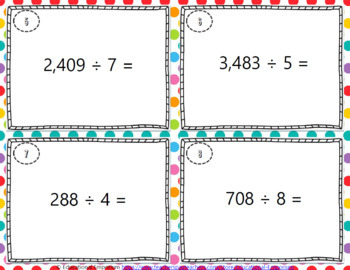 ENDLESS PRACTICE for up to 4-digits by 1-digit division according to 4.NBT.6! 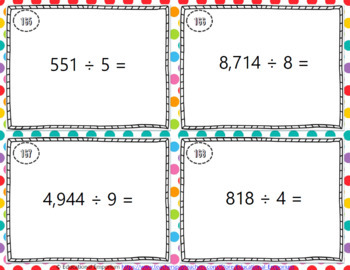 These 1000 TASK CARDS practice dividing up to 4 digits by 1 digit as prescribed in 4.NBT.6. 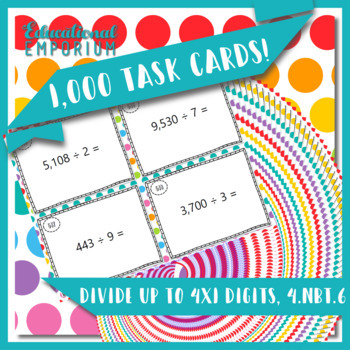 Task cards are great for a whole-class game, math centers/stations, fast finishers, extra practice, homework, scavenger hunt, quiz-quiz-trade, scoot, morning work, small groups, or review for test. 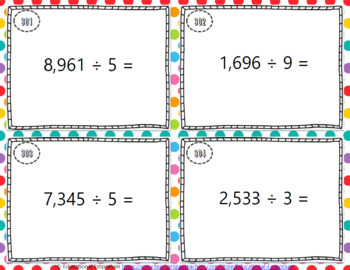 Looking for other fluency task cards?